I guess it was only a matter of time…the craze for meatballs that has taken hold in a big way. Food magazines cannot stop writing about them; restaurant chefs have elevated them to super food star gourmet status on their slick menus; food bloggers adore them and all this time the lowly meatball has been under the food radar and often thought of as just something to go with spaghetti. And the meat that Apicius preferred for making these patties? Peacock, followed by pheasant, rabbit, chicken and pig. The meatball is a trans cultural food found in some form around the world. For instance the Danes have the famous fried Danish meatballs (frikadeller) made from pork mixed with feta cheese. Greece makes meatballs (kefiedes) with lamb, pork, or goat, onions and mint leaves. They are always floured and fried in olive oil. They are often round, oval or flattened in shape and even skewered. Swedish meatballs (kottbullar) are made with ground beef or a mix of beef and pork and flavored with milk soaked breadcrumbs and chopped onion. They are traditionally served with gravy, boiled potatoes, ligonberry jam and fresh pickled cucumber. Italy is most associated with the origins of meat balls and many recognize its variables here as an Italian American invention because during the nineteenth century, when Italian immigrants arrived, the meat grinder became available and changed the look and taste of the meatball since inexpensive cuts of meat could be ground and mixed with a variety of ingredients. 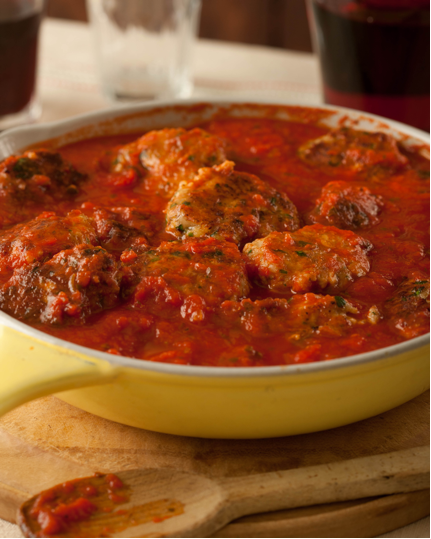 You could ask any nonna how to make meatballs and a plethora of answers would ensue. This has survived until today. 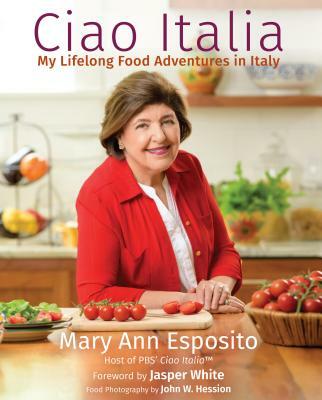 There just isn’t a “recipe” but that is no surprise when we think of the regionality of Italian foods. And what is this fascination we have with meatballs? We serve them in mini size for a buffet, we cloak them in buns for a meatball sub, we hide them in casseroles and most importantly, we cook them in tomato sauce and serve them with spaghetti, another Italian American invention because traditionally, spaghetti and meatballs as a course does not exist in Italy. Suffice it to say that meatballs like meatloaf, lasagne and macaroni and cheese are close to the chest comfort foods no matter what their origin. 2) Use the soft crumb of fresh bread, not the crust, torn into small pieces and soaked in milk, water or wine. 4) Use fresh parsley and mince the stems as well; there is great flavor there. 5) Not too much garlic; a clove for a pound of meat. Mince it fine and cook it first in a bit of olive oil along with onions before adding to the meat mixture. 6) Bind all the ingredients with an egg yolk, no white, which tends to dry out the meatballs when they are cooking. 8) Fry a small marble size ball and test for taste before forming and baking all the meatballs. Add salt and pepper as needed. 10) Place them on a non-stick baking sheet and bake them for 30 minutes at 325F. This will prevent them from collapsing and losing their round shape. They are done with a thermometer inserted into their centers registers at 160F. Add them to tomato sauce and simmer until hot. Meatballs taste best when they are fried. Not so good baked, my opinion, and I think everyone elses. I love watching your show because you share your cooking knowledge freely with your TV viewers. You are a true home cook who prepares meals that the average home cook can aspire to make. Thank you for all that we learn from watching you! There is much opinion about how to cook the meatballs. Frying them gives them an outer crispiness and rich flavor; baking them provides a more delicate texture and some cooks add them raw to the simmering sauce. It is all what the cook prefers. I always fry my meatballs, just until they develop a nice crust. Then I immediately add them to my sauce. After an hour or so simmering, I skim off the fat. I enjoy moist meatballs with fantastic texture and a sauce that is, oh so flavorful. Ciao baby! I bake when i have a lot to make and they come out excellent. Depends on the fat %. One of my favorites is koenigsberg klopse which are a german meatball un a tangy white sauce.